It should come as no surprise that shares and property outperform cash and bonds in the long run. But even experienced investors may be surprised at the performance gap when tax is added to the mix. Not only does our tax system favour some investments more than others, but it gives Australian investments a head-start when compared with overseas investments, especially when they are held inside super. That’s just one of the interesting insights in the latest Russell Investments/ASX Long-term Investing Report.i While tax should never be the primary reason for choosing one investment over another, it pays to be tax-aware. In the 10 years to December 2014, the gross return from global shares was 7.8 per cent after hedging to remove the effect currency movements. Global fixed income was the next best performer, followed by Australian shares (7.1 per cent) and residential property (7 per cent). But the after-tax return told a different story. Australian shares came out top, due largely to our system of dividend imputation. 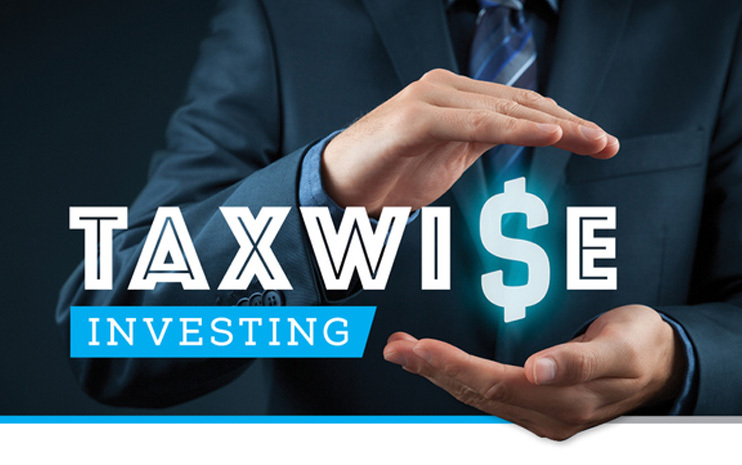 This provides local investors with franking credits for tax already paid at the company level. In fact, Australian shares are the only asset class where it is possible to earn a bigger return after tax than before tax, thanks to franking credits. This is the case if you are on the lowest marginal tax rate or invest inside super where income is taxed at 15 per cent. If you are in pension phase and pay no tax, the returns are even better. The reason for this is that imputation credits on dividend income can be offset against tax in your annual return. Investors on the lowest marginal tax rates with imputation credits remaining after offsetting all tax can even claim back the excess as a refund on their tax return. Even so, the benefits of investing inside super are greatest for people on the top tax rate. As the Russell report shows, the after-tax return from Australian shares was 5.3 per cent for high wage earners but 7.6 per cent if they held their shares inside super – that’s a difference of 2.3 per cent. In other words, it’s not just asset allocation and time that determines the real, after-tax return from your investments but your choice of investment structure. For all investors, not just high income earners, holding investments inside super is a winner. The Russell report also highlights the tax advantages of local investment property, especially for investors with their own self-managed super fund. In the decade to last December, residential property returned 7 per cent before tax and 6.2 per cent after tax for super investors. By contrast, the net return was only 4.9 per cent for high wage earners who held their investment outside super. But even this looks good next to cash. The income from cash and fixed interest is taxed at your marginal rate with no concessions. While Australian fixed interest returned 6.5 per cent before tax over the past decade, returns shrank to 5.5 per cent after tax for super investors and 3.4 per cent for top-rate taxpayers. Returns from cash were even worse. Investors paying tax at the top rate actually went backwards after taking inflation into account, with an average annual return of just 1.8 per cent. In many ways, these findings tell experienced investors what they already knew. In the long run shares and real property provide the best returns and investing inside super is good for your wealth. The after-tax advantages of shares and property are simply the icing on the cake. But the report also sounds a warning for local investors who focus exclusively on local shares and property. As the global economy strengthens and the Australian dollar weakens, overseas shares should continue to provide some of the best opportunities. Next Post Where is the best place to stash your cash?